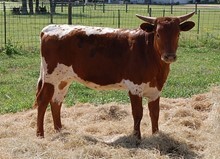 An exceptional heifer with great conformation. Very stylish. Millennium Futurity eligible.